Brief Description At Mountain Thunder, we will teach you about coffee from bean to cup. Our tours, we have been told, are the most individual, coolest, helpful and informative tours, which are often the highlight of any vacation in Kona. 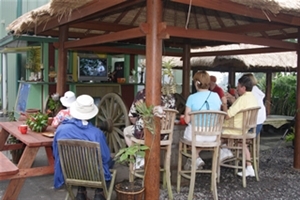 Add Mountain Thunder Coffee Plantation - Kainaliu to your free online travel itinerary.